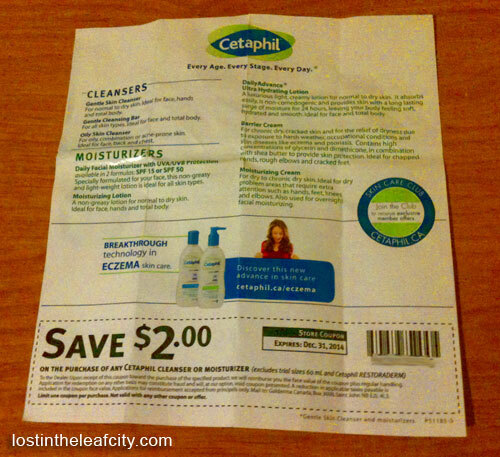 Just recently I found a coupon inside a packaging of a Cetaphil Cleansing Bar. You can save $2 when you purchase any Cetaphil Cleanser or Moisturizer. You can have a preview of the current price of Cetaphil products in well.ca a website on which you can order online and have it deliver for free with a minimum order of $35.00 (with the exception of USA and remote locations in Canada).